When it comes to marketing, exposure is the name of the game.Having high-quality content is great, but it means nothing if there’s no one actually reading it.With that in mind, it’s no wonder that brands and businesses from all over the world are doing everything in their power to increase their exposure on social media.At this point, there are a variety of ways that you can do this. While certain tactics, like using social media ads or relying on organic traffic, can certainly be helpful, there’s nothing quite like word of mouth to get people talking about your product or service.The average consumer today is more likely to do business with you if there are other people willing to vouch for your business. Just take a look at the data that Impact found, analyzing the importance of word-of-mouth marketing.Word-of-mouth marketing is a powerful tool, but it’s difficult to get because it’s so reliant on what others say about you. One of the easiest ways to get this type of validation is by getting your audience to share your posts and content on social media.Of course, getting them to actually do that is easier said than done.The average consumer isn’t likely to stand by a product or service unless they truly believe in it. Before you ask people to share, you first need to be sure that your content is worthy of sharing.Once you’ve done that, you’ll have to ask your audience (both directly and indirectly) to share your content. I’ll be the first to admit that this can be tricky, especially since every brand on social seems to wrap their posts up with “don’t forget to like and share this!” .These days,standing out on social media is going to directly influence how much exposure you gain through this method.If you use the same tactics as everyone else, you’re going to end up with the same results and the same exposure. For whatever reason, business owners (and certain pockets of the social media marketing world) seem to think that the use of influencers is some type of fad.Honestly? I’m not sure that those people are looking at the big picture.When you look at the role that celebrities have played in the world of marketing, it’s no surprise that social media influencers as we know them today have become so popular. Consider for a moment the life of the modern consumer. They most likely grew up listening to ad after ad on the radio or TV. They’re used to brands leading them on with inaccurate advertising.The celebrity endorsements are familiar with typically involve an athlete or movie star talking about a product they don’t believe in or would never use. It’s pretty depressing, right?Then suddenly, the Internet came along and changed the way consumers interact with advertisements.More specifically, they don’t have to interact with that many anymore. Ad blockers mean they only see a fraction of the ads they used to deal with. Music streaming services like Spotify and Apple Music market their premium services as ad-free listening experiences because they understand how much people dislike annoying ads.The reality of the current advertising market is that the only hope you have is providing a compelling piece of content and hoping for the best, right?Wrong. Tactics like the celebrity endorsements still work — they’ve just become significantly more targeted now.Instead of trusting a vaguely familiar face for advice on what kind of headphones to buy, people are more likely to take their cues from an industry professional with a strong reputation.Why? Because authenticity matters, especially when you expect to develop the level of brand loyalty necessary for a consumer to consistently share your content. Social media influencers, or micro-celebrities as they’re sometimes called, are perfectly suited for the needs of the modern consumer.For starters, they’re not just random recognizable icons. They tend to have a history with their audiences that puts other celebrities to shame.Take your typical YouTuber. Aside from the content they post on their channel, they usually have at least one other method for engaging with their audiences. Sometimes it’s a vlog channel that shows behind-the-scenes content or just snippets from their daily lives. Other times, it’s a personal Instagram account with completely unique content.The point is that influencers aren’t just powerful because of the content they produce. They’re impactful because audiences feel a deeper connection with their brand and what they represent. Speaking of the content they produce, it’s worth noting that it’s infinitely more targeted than most celebrities.When a movie star does a commercial for a watch or car, no one expects them to be an authority on the industry in question. But when you’re dealing with influencers on social media, you can bet that the person plugging that product knows a thing or two about the industry. If you’re looking to understand the influencer scene on platforms like YouTube, look no further than Casey Neistat. You’re not just investing in the size of their following or their brand recognition on the platform. You’re gaining exposure to a targeted audience.When a random celebrity promotes a phone or a camera, you’re banking on their star power.When Casey Neistat promotes your phone or camera, you’re banking on the size of his audience and the faith that his audience has in him.Don’t just hire as many influencers as possible. Quality and relevancy are the order of the day when deciding who to work with to promote your brand. If you manage to choose the right influencers for your brand, you’ll be amazed at the level of validation your brand will receive. Why does that matter?Because an increase in validation today means there’s a higher chance that your brand’s content will be shared on social tomorrow. If you want that audience to share your content, there’s no better way to convince them your content is worth sharing than having their favorite influencer stand by your brand. If you’ve been reading my blog for any amount of time, you’ve probably noticed that I’m a big fan of keeping things simple and direct. I’m sure there are some people who’ll read this and completely dismiss the idea of giving anything away for free.I can hear it already. “I’m trying to run a business here, Neil! I can’t just afford to give away free stuff!”Listen, I get it. And if you can get the kind of exposure you want without having to resort to creative tactics, more power to you. But if you’re struggling to increase the amount of exposure you get, a contest can be a great way to pump up your social media shares.Mind you, the prize doesn’t have to be something enormous. It all depends on how you want to approach the process. Just take a look at Gary Vaynerchuk’s Instagram page to get a better understanding of what I mean. His #60secondclub rewards people who’ve turned on their notifications for his content by giving them a free book or T-shirt for commenting. You could offer a single major prize for the contest to keep things simple. You could offer several small prizes to reassure your audience that there’s a chance they’ll win. You could even mix these two approaches together by offering every sharer a small discount code with a major prize at the end of the contest for one random person but that’s just the tip of the iceberg. If you’re really looking to increase your social media shares, you can combine the contest tactic with user-generated content (UGC). A surprising portion of Airbnb’s most engaging images on their Instagram page are actually UGC. For those of you who need a quick refresher on UGC, it’s exactly what it sounds like. 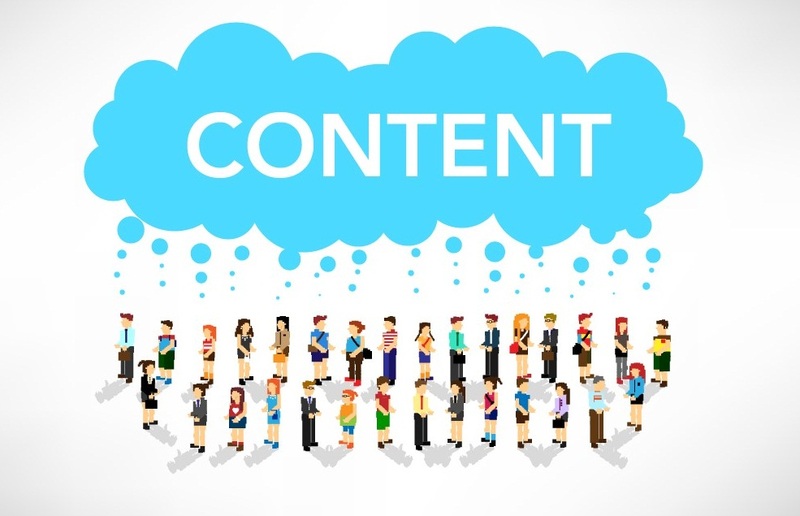 Content that your audience puts together, which you then use as promotional material.The only real problem with UGC is the fact that it’s a marketing strategy that relies almost entirely on your audience’s willingness to create content. In other words, if they don’t feel compelled to create anything, you can expect a barren wasteland of content during your campaign.Sounds like it’s high-risk, high-reward, right?The solution that most businesses use is trying to come up with a compelling idea and promising to share the best content on their official social media platforms. And while you should definitely still focus on those solutions, incorporating the content into your UGC campaign all but guarantees it’ll be successful.The actual execution of your UGC can vary, obviously. All that matters is that the activity is compelling or engaging in some way. If you really want people sharing your content on social media, you need to understand the concept of friction.At its core, friction is the thing that gets between your user’s actions. There are plenty of definitions for friction, but what’s important for you to understand is that it’s the enemy.Anything that gets between your audience and the actions you want them to take is going to end up being something you want to get rid of. The harder it is for your audience to take action, the less likely they are to take it.If you want to increase the chances that your audience will take a particular action, try to remove as much friction as possible between where your audience is and where you want them to be. A truly efficient CTA revolves around your ability to guide your readers and ask them to do something specific. The more specific the ask, the more likely they are to actually do it.The beauty of the CTA is that it doesn’t just have to focus on sales. There are few different types of actions that brands want their consumers to take. Sales are obviously one of them, but there are other types of conversions like e-book downloads and email newsletter sign-ups that benefit your business without directly contributing to sales.For the purposes of our example, we’re going to talk about a CTA that’s all about getting users to share your content on social media. In order to pull that off, your CTA should be a few things. By ensuring that your CTA is straightforward and not convoluted, you end up with a CTA that clearly shows your audience what their next step should be. I’m also a firm believer in the one-step CTA because multiple steps tend to complicate things unnecessarily.Since this is about content, it’s likely that your CTA will be at the end of your blog content or video content.No matter which you’re using, keep in mind that your CTA is more about making a value proposition than it is about presenting people with an ad. People are going to need a reason to share your content. It can be something as simple as, “share this with someone thinks they’re always right,” or, “share this with any of your friends headed to college”.CTAs may not be subtle, but they’re the solution to friction when it comes to increasing social media sharing. Another important tool that you should be using to increase the number of shares you get on social media is the social media share button dashboard.I can’t tell you how many times I’ve visited pages that ask for social media shares at the end of their articles only to find that they don’t have any social media share buttons on their page.This is one of the easiest ways to encourage people to share your content on social. The buttons basically remove any of the barriers between the user and the action. If you’re worried about getting more shares for your content on social media, it’s important to understand what makes people share content.Typically, it’s going to be 1 of 2 reasons. Either they were compelled by your brand or they were compelled by the content itself. Assuming you’re already making content that’s compelling enough, the question then becomes, “How can your brand encourage people to share your content?”Well, they can start by leveraging the social proof that comes from aligning with industry influencers. Appealing to a targeted audience is definitely going to help increase your social media shares.But you can go beyond that. Recognize that offering value via contests and giveaways is one of the easiest ways to ensure that your audience has a reason to share your content.If you’re really feeling ambitious, learn to combine UGC and contests to end up with a campaign that’s as unique as it is compelling. Make sure that you’re addressing the basics of social media sharing by providing your audience with easy-to-follow CTAs and a panel of social sharing buttons to reduce friction.Getting people to share your content on social is 50% the content you produce and 50% the way you promote that content through your own social media platforms.